During the past year, the AP has made three rounds of sweeping changes to its social media policy that impact AP staff. 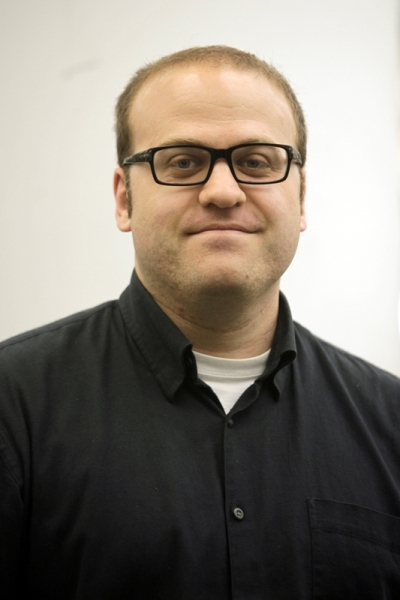 Ebyline recently had a chance to talk with the AP’s social media editor, Eric Carvin (@EricCarvin), about these shifts, the issues they raise about journalists’ roles in propagating brands (their own as well as that of their employer), and what all of us can learn from these new policies about using social media. Can you sum up the changes the AP has made to its internal social media policy within the last year, and what led to these changes? Also, how do these changes better protect the integrity of the AP’s brand when its staff use social media? The primary changes over the past year have been the introduction of guidelines on retweeting and some new guidance on correcting erroneous tweets. The bottom line on retweeting is that AP staff shouldn’t retweet strong opinions on issues without finding a way to put those opinions in context. As for corrections, we kept things pretty simple, explaining that an AP staffer who’s relayed incorrect information should follow up as quickly as possible with a tweet or post that explains that we made a mistake. Both of these guidelines are key to protecting AP’s integrity. Under our Statement of Values and Principles, AP staff are instructed to avoid expressing opinions on issues, and the retweet guidance prevents the appearance of that sort of opinion being expressed. And getting the facts right is central to AP’s core journalistic mission, so correcting errors quickly and transparently is critical. Part of the new social media policy states that “Retweets, like tweets, should not be written in a way that looks like you’re expressing a personal opinion on the issues of the day. A retweet with no comment of your own can easily be seen as a sign of approval of what you’re relaying.” Some have criticized this to mean that AP staff should not retweet anything with an opinion. What has been the AP’s response to this? Yes, we advise against unadorned retweets when the original tweet expresses an opinion on an issue. But that doesn’t mean people can’t retweet — they just need to do it carefully and smartly. They can put a few words before the RT to make it clear that someone else’s opinion is being quoted — even something as simple as “One senator’s opinion” would work. Or they can simply lift a quote from a tweet and put it in a new tweet of their own. This is important because a retweet of an opinion can be seen as an endorsement of that opinion, even if you have language in your Twitter bio saying otherwise. For one thing, people who see your tweets probably will never even look at your bio. Also, I don’t buy the argument that it’s just an understood rule of Twitter that tweets aren’t endorsements — Twitter is no longer a small community of people who understand the rules of the game and abide by them. These days, people who know very little (or even nothing) about how Twitter works are coming across tweets in their daily lives, and it’s important, for AP’s integrity, for us to avoid any appearance of bias to the readers of tweets. Yes, it’s a little harder to put a tweet in context than to just hit the “retweet” button. But we’re journalists — writing clearly and concisely is something we’re good at, and the extra work is worth it to avoid the appearance of possible bias. How does the AP’s social media policy allow journalists to build their own personal brand when they are limited to how they can use Twitter while working for or with the AP? Honestly, they aren’t all that limited. True, we advise against expressions of opinion on political issues, but that’s nothing new and has nothing to do with social media — it’s always been important for journalists to project an impartial image in public. (And not just at AP — this is common in the news industry.) Also, there are some exceptions to this. If people want to cheer on their favorite baseball team on Twitter — and they don’t cover that sport as part of their jobs — that’s fine. They can say they liked a movie or enjoyed a concert or really were blown away by a sandwich. In fact, we encourage AP journalists to share the color and observations they take in — on assignment or otherwise — when they’re tweeting or posting to social networks. When this relates to an interesting story, we even point followers of AP’s accounts to them. We love it when AP journalists establish themselves on social networks as human beings with expertise, interests and something intelligent to say. And because AP journalists are just about everywhere, covering just about everything, they’re often in a position to share fascinating observations that the rest of us would never know about without their reporting, their images and their tweets. Many organizations advise their staff to include a disclaimer in their profile that tweets from a personal account do not represent those of their employer. Why has the AP not chosen to adopt this strategy? Do you think it’s an effective strategy for these other organizations to use? We haven’t advised AP staffers to do this. As I mentioned before, people who see your tweets usually will never see your Twitter bio, so any disclaimer becomes pointless. And even if they do see it, opinions expressed on Twitter by an AP journalist won’t be forgotten when AP covers something related to that topic — we’ll hear about it from people with strong opinions who will see those earlier tweets as a sign of bias on our part. And they’ll have a point. Most of this, of course, particularly applies to news organizations. If someone who works for a company that makes drywall or does your taxes tweets about their opinions on the war in Afghanistan, it may not matter much — individual companies need to decide what makes sense for them. Finally, what other challenges has the AP faced with emerging forms of new media, and how has it adapted? 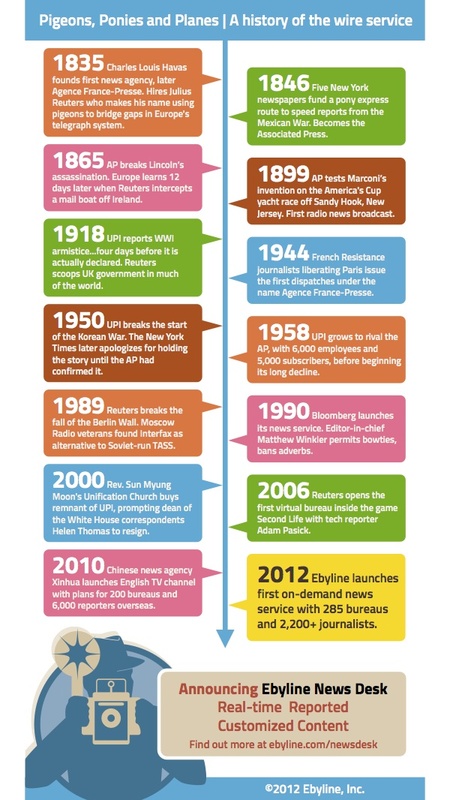 The ability to adapt to new media has been at AP’s core since the invention of the radio, if not earlier. I like to point out that AP’s been a leader in electronic newsgathering and distribution since 1846, and we’ve shown considerable flexibility in changing times. In the digital era, one of the greatest challenges is that AP is fundamentally a business-to-business operation, yet we need to find ways to connect to individual readers, viewers and listeners of our content to remain relevant and competitive. We’ve made some great strides, including the newly reimagined AP Mobile app and our considerable social media presence — we recently crossed a million followers on Twitter, and when big news happens, we frequently lead the entire news universe in retweets on the breaking tweet. Mobile and social are now at the heart of the AP newsgathering process, and they look to stay there for a long time — at least until it’s time to adapt to the next big thing. The First Pinterest-Enabled Magazine: Plenty of magazines have Pinterest-enabled websites, but with its June issue, House Beautiful became the first to create a Pinterest-enabled print publication. Thanks to an invisible watermark printed in the magazine’s pages, readers can scan pictures with their smartphone and pin the images to their Pinterest boards. We’ll be interested in seeing how quickly readers catch on and whether other lifestyle publications follow suit. Now playing: The New York Times signs on to Hulu to reach a new audience for its long videos: The NYT will soon join news outlets like ABC News and the Wall Street Journal on popular video site Hulu.com, posting short documentaries on the Hulu site as part of a content licensing agreement. Ann Derry, head of the Times’ video department, says the paper’s new Hulu channel will help raise awareness about the paper. AP uses itself as an example in Stylebook’s social media chapter: The Associated Press released the new AP Stylebook on Wednesday, and it includes the AP’s own guidelines on retweets. The AP’s strict stance on not writing tweets in a way that express personal opinion is controversial, and some journalists have criticized the AP for not mentioning this controversy in the Stylebook. Penguin, Macmillan respond to DOJ in e-book price fixing suit: Two major publishers have filed responses to the Department of Justice’s e-book price fixing lawsuit. In their responses, Penguin and Macmillan both say many of the conversations mentioned in the lawsuit are not relevant to e-book pricing. Nearly 300 US newspapers now charging for access on websites, smartphones and tablets: Roughly 300 newspapers around the country have launched “metered pay walls,” where readers can view a certain number of free articles per month before being asked to sign up for a digital subscription. This article discusses the economics behind this strategy. What Obama told journalists at AP lunch: During the ASNE conference this week, President Obama delivered a speech to journalists and article writers at the AP lunch and encouraged reporters to put political debates into a historical context. Burrell: Local Web Ad Rev to Rise 21% in ’12: On Tuesday, Borrell Associates released a report showing that local online advertising could surpass newspaper advertising in 2013. Local online ads are expected to grow 21.3% this year. Next Issue Media launches with all-you-can-read pricing model: Five major magazine publishers have teamed up with Next Issue Media, which launched its Android app this week. The app gives magazine readers access to “all you can read” newstand magazines for a monthly subscription price, similar to Netflix or Hulu. Venture Beat reports that the app will be available on the iPad later this year. Groundbreaking black NY journalist Gil Noble dies: We were saddened to hear that Gil Noble, host of WABC-TV’s public affairs program, Like It Is, died yesterday at age 80. In addition to interviewing public figures like Nelson Mandela and Jesse Jackson, Noble created documentaries on Malcolm X, Martin Luther King, Jr., and W.E.B. Du Bois. As I’m typing this blog entry, StyleGuard is suggesting a few corrections. It’s reminding me, for example, that “colored” is a derogatory term (wrong context) and that I should fully spell out “Associated Press” in the first instance of use. After I approve the latter change, the plug-in automatically abbreviates all subsequent usage of AP in the document. Nifty. The new Microsoft Word plug-in was developed by Equiom Linguistic Labs in Bellevue, Wash. for The Associated Press and is currently available for sale on their site. It works like spell check except that it applies 3,741 AP style decision rules to help streamline the editing process. I’ve been using StyleGuard for a week and find that it integrates well into Windows 7 and my copy of Word 2007. 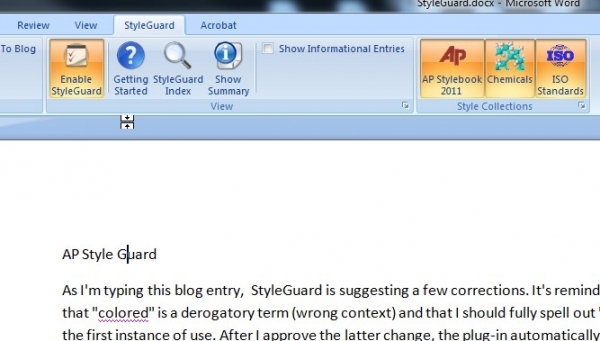 It adds a StyleGuard tab on the top bar that allows you to toggle corrections on and off, access an indexed and searchable digital version of the 2011 AP Stylebook and to download different style collections. The only other downloadable options that I saw were “chemical compounds” and “ISO standards.” Just like Word, any potential problems are underlined with a squiggly line that’s tinted purple to differentiate it from Word’s own red spelling and grammar checking squiggly. When you right click, suggested corrections appear in a popup menu along with an option to ignore the violated rule. Corrections also appear in a dedicated vertical pane to the right that displays word count (slow to update), potential issues, proposed changes and a description of the issue that’s plucked right out of the AP Stylebook. StyleGuard seems designed to minimize crossover with Word’s correction feature. It actually defers to Word on many grammar, spelling and capitalization issues. The plug-in works best on more specialized words and usage like acronyms. It will tell you to spell out anti-ballistic missile (ABM) or to lowercase eurozone and it will handily give you a description of each item in question. Sometimes, StyleGuard can be hit or miss or will just blank out, requiring that you turn it off and on–especially when you cursor around the document to make spot changes. It didn’t tell me to lowercase the “C” in Halley’s comet but it correctly pointed out that “life size” needs to be hyphenated. The copy I used is still in beta so I figure they’re still working it out. Overall, I’ve found StyleGuard has the potential to be a pretty useful tool that can save time for many technical writers. You still have to approve each correction, so it’s not a completely automated process, and having the Stylebook on tap while working is convenient. StyleGuard is only being offered for Windows users that have Office 2007 and above. A Mac version is reportedly in the works. The single user, pre-release price is a discounted $49.99 until April 1. It will then cost $59.99. You’ll also need to purchase a recent copy of the print edition of the AP Style Guide to be eligible to purchase the plug-in.